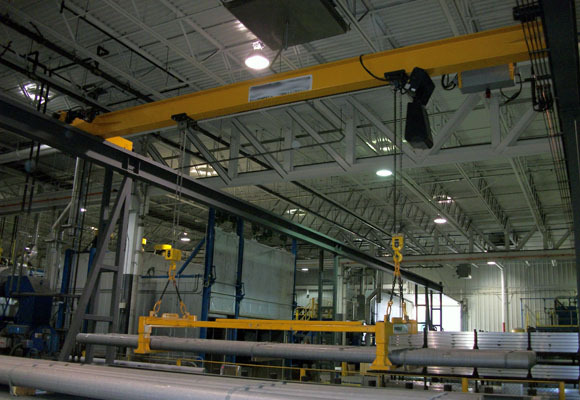 IMS | Solution specializes in the design and certification of lifting equipment. Its team of specialists develops all types of custom bridge cranes, end trucks, box, monorails, lifting hooks, hoists, trolleys, jib cranes, etc. IMS | Solution also offers certification for all products according to the standards in your province and ensures quality service while respecting your deadlines. Modernization offered by IMS | Solution will certainly increase the performance, reliability and security of your lifting equipment. IMS | Solution provides detailed structural analysis of your lifting equipment, which includes issuing a full report prepared by a professional engineer. IMS | Solution is a successful company in the field of heavy machinery and industrial equipment. We design and certify heavy equipment, according to your industry’s specific needs. At IMS | Solution we know that each design or certification request is unique. 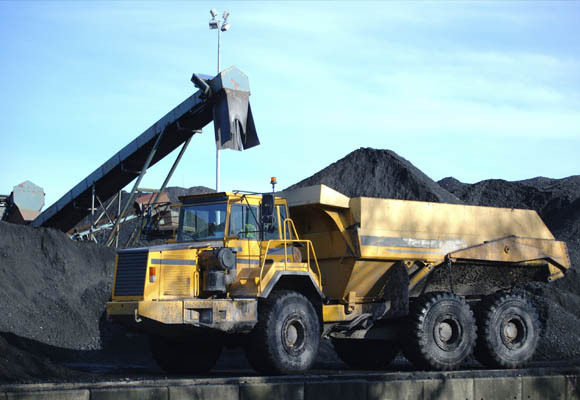 Therefore, we analyze all aspects of your project and we propose modifications to improve your heavy equipment and ensure that it is in compliance with the required standards. Whether you’re considering a repair, improving design, designing nonexistent machinery or having a preventive inspection of your machines, the IMS | Solution team is here for you and has the expertise required for all your projects. IMS | Solution offers mechanical engineering with finite element analysis. Our team is able to design and evaluate all structural shapes such as tanks, towers (housing), conveyors, and walkways, to improve and to comply with standards. As members of the CISC-ICCA trained in welding by the CWB, IMS | Solution’s engineers are able to design your products from their infancy to the final stage, including their connection to an existing structure. 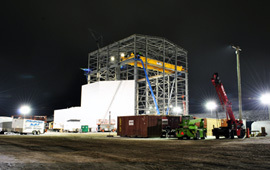 IMS | Solution provides civil engineering structures. Whether it be a building structure, freestanding structure, trackway, rail, or end-stop, IMS | Solution’s engineers (members of the CISC-ICCA, trained in welding by the CWB) are able to develop and modernize your existing structure(s). IMS | Solution provides engineering drawings in 2D and 3D. IMS| Solution’s team can create mechanical assembly drawings and prototypes, civil structural drawings and mechanical and civil shop drawings. When creating a design drawing, our team of engineers and designers always take into account the manufacturing feasibility and suggest different types of connections. Manufacturing plans can also be inspected and sealed by the IMS | Solution’s team. IMS | Solution can successfully manage your project from start to finish. Our team is able to design, estimate costs, supply and manufacture materials, manage your project and ensure quality service throughout the project. IMS | Solution’s strength lies in our ability to design your entire project in-house and to partner with experienced manufacturers (structural, mechanical and crane). All of IMS | Solution’s designs respect machine safety standards. Following recommendations, warnings or sanctions by the CSST, IMS | Solution provides you with precise and effective solutions to ensure that your product meets regulations.